Hands of the Strong: Lamp Post Literalists. Amid the twists and turns of everyday life, I have been reflecting on the “recipes for a significant life” offered in our culture these days. If you are like me, you long for certitude — for the right idea, the perfect politician, the road to true happiness. And, if you are like me, you are tempted to believe there is a shortcut to such significance and joy. Such hunger for certainty and clarity is, I have come to believe, the seedbed of fundamentalism. Before your ask, yes, I believe fundamentalism is a shared human dilemma — make that a shared human flaw. Fundamentalists can be clothed in many garbs. Yes, there is “Islamic Fundamentalism” and also “Christian Fundamentalism,” “Jewish Fundamentalism,” “Hindu Fundamentalism,” or, even, “Atheistic Fundamentalism.” We can too easily, in our search for the simple answer, turn to criticize persons of other faith traditions. I have come to believe that we must first speak clearly to persons, tempted to fundamentalism, in our own tradition. 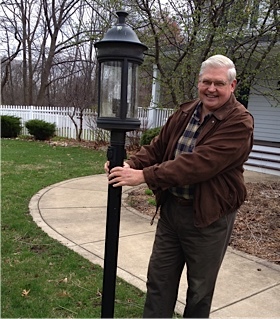 William Sloan Coffin, of blessed memory, put it this way: “Some Christians use the scriptures like a drunk uses a lamp post — more for support than for illumination.” Bill Coffin was at the time pastor of Riverside Church in New York City. He spoke of the human temptation to selectively use scriptures, or our faith, as a prop for our own shallowness, even our weaknesses. Coffin suggested that we ALL are tempted to be “selective literalists,” — each of us eager to find the easy way forward, the simple formula, the one confirmation for what we already believe. This desire for the one formula, the simple rule, is too much at play in shaping our politics and our religious life. It is astonishing, for example, that the mission of the United Methodist Church has been diverted, and in my view almost lost, by a focus on homosexuality. This is based on 5 or 6 verses of scripture that are literally (and in my view wrongly) applied to our day. How long will our mission and message be held captive to such sad smallness of vision? In Indiana, we recently saw how this selective literalism of these scriptures was employed to pass legislation that would allow for discrimination against LGBT persons. In our nation’s life, selective literalistic interpretation of the second amendment to the constitution has led us to a foolish worship of fire arms. Such interpretations ignore any emphasis on “a well regulated militia.” The “right to bear arms” is the predicate, not the subject, of this amendment. As a result of this selective interpretation, we live in a nation where persons too easily trade in guns (even assault weapons) without background checks or any proof of competency. This flawed literalism has lead to neighborhoods too often like war zones — places where our children’s lives are under daily threat. What then shall we do? Columnist David Brooks’ new book The Road to Character is helpful. Brooks suggests that the development of character requires humility, discipline, perspective and practice. He notes that we too easily substitute our narcissistic desires for the gift of mature faith and the richness of the life well-lived. He speaks of the dangers of smug superficiality — this, too frequently, reinforced by our fundamentalist instincts. Finding strength and significance in our personal lives and in our national conversation will require a broader imagination and the admitting that we still have things to learn — that we are vulnerable to the siren songs of selfishness and narcissism. The path to being spiritually healthy people, living emotionally substantial lives and sustaining healthy communities requires something more, something deeper. Brooks speaks of dimensions of faith beyond our desire for personal validation or easy certainties. He points to a better way forward offered by thousands, great and small. He notes that in every community there are persons who are little recognized, yet seem to radiate the gift of faith as they relate to others. And he notes several of the great thinkers and actors of faith. Folks like St. Augustine offer a richer way forward, shaped by an understanding that we are all children of God, easily tempted to forget our place and to focus on our selective biases. The poet Marianne Moore calls for us to live beyond the “insolence and triviality” around us and to become “literalists of the imagination.” She suggests that we explore “imaginary gardens with real toads in them.” So speaks the poet — and the columnist — and this pastor who seeks to keep learning. I too often get focused on the real toads and miss the larger vision of the garden. You?